Comment: I like to extend my driveway 10'X35', is on the street curve, very easy accessible, I just need the concrete job, I will have the area clean and ready to pour the concrete. Comment: Remove existing concrete walkway in front of garage door approx. 20sqft. Cut tree roots causing concrete to lift and replace with new concrete walk. 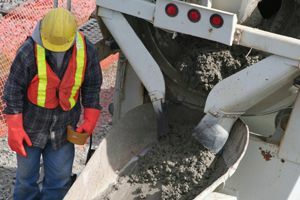 Costa Mesa Concrete Contractors are rated 4.76 out of 5 based on 1,406 reviews of 56 pros. Not Looking for Concrete Contractors in Costa Mesa, CA?